An aide stabbed the prelate to death. A pastor closely involved in ecumenical work and in the dialogue with Islam, he was getting ready to travel to Cyprus to meet the Pope. After Fr Andrea Santoro was killed, he spoke about the slain priest. The director of the Holy See Press Office comments the event. Ankara (AsiaNews) –Mgr Luigi Padovese, bishop of Iskenderun, in Anatolia, was killed today around 1 pm. A priest friend had just met and spoken to him right after 12 o’clock. The prelate’s driver and aide, a Muslim who had worked for the prelate for some time, is thought to have attacked the bishop with a knife. Eyewitnesses said that the driver appeared “depressed, violent and threatening” in recent days. 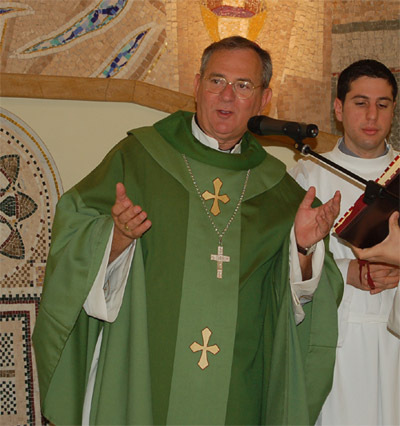 Mgr Padovese, 63, was appointed Apostolic Vicar to Anatolia in 2004. Currently, he was the president of the Catholic Bishops’ Conference of Turkey. He was closely involved in ecumenical work and in the dialogue with Islam as well working to revive Turkey’s Christian communities. He had met Turkish authorities yesterday to discuss problems affecting Christian minorities. He was supposed to visit Cyprus tomorrow to meet Benedict XVI who is visiting the island where he will issue the Instrumentum Laboris for the Synod for the Churches of the Middle East. This is not the first time that the Catholic Church in Turkey is the subject of threats, violence and death. In 2006, a Fidei Donum priest, Fr Andrea Santoro, was assassinated in Trabzon.